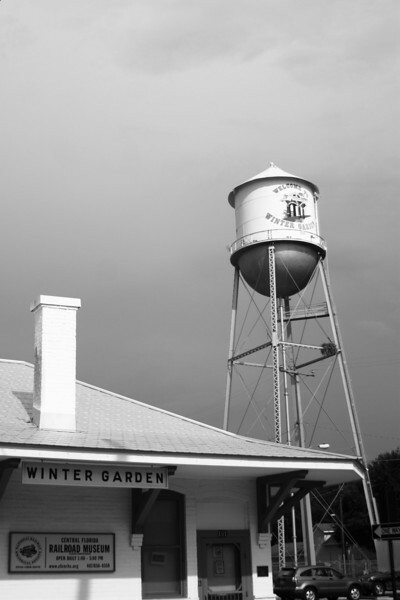 October 20, 2010: Here’s a photo I shot a while back during another trip to downtown Winter Garden. I’m off to shoot a friends wedding! Have a great one! I like what the B&W treatment does to the sky. Looks like a storm is brewing. Have a great wedding shoot.